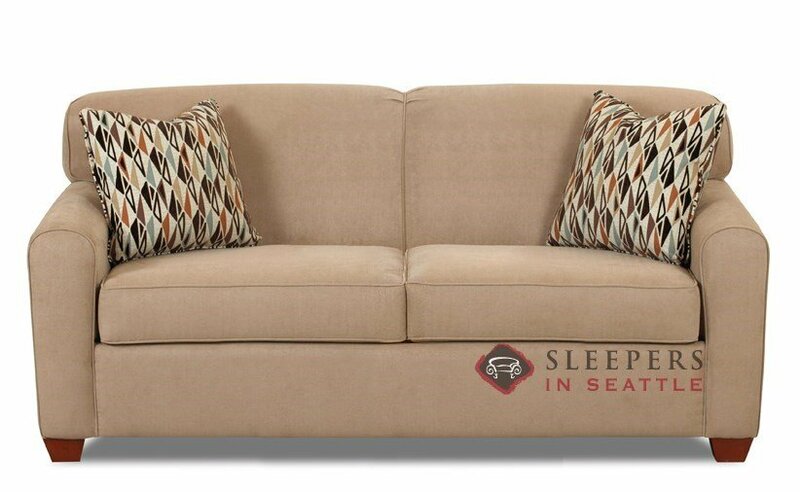 The popular Zurich Full Sleeper by Savvy offers transitional styling in a snug package. 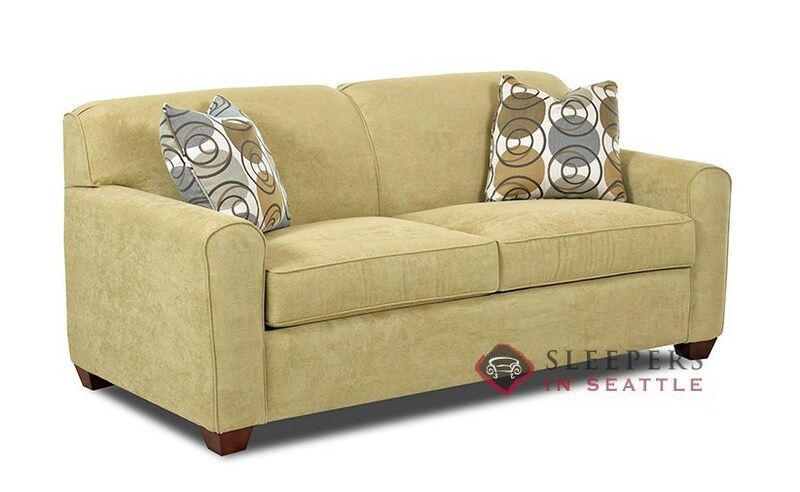 A tightly upholstered back with a curved ceiling create an inviting, yet supportive seat. Welted detail on the seat cushions and curved track arms finish the Zurich with style. 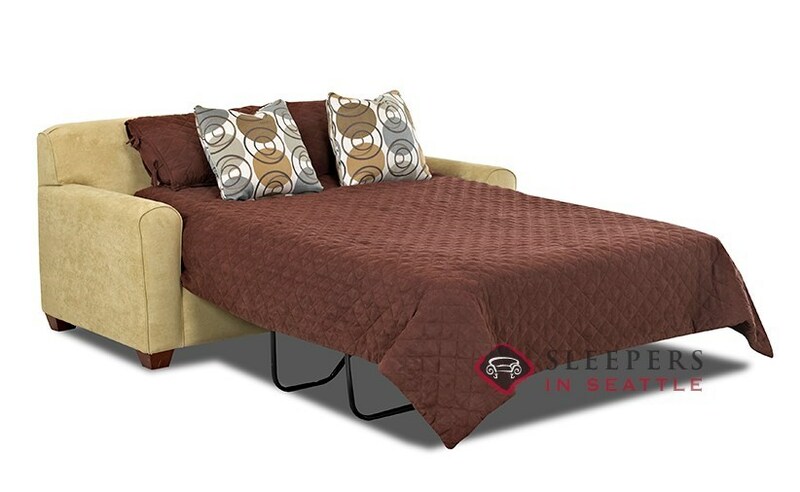 Offered in great variety of fabrics with several mattress options. I bought the Zurich sofa and am very pleased. It is well made and comfortable. I bought the standard mattress and it is fine for what I need. Delivery was 8 weeks but not really an issue for me. I have never bought furniture on-line before and was nervous about making a big purchase that would be very difficult to return. I ordered a swatch beforehand and would recommend that you should do this. I have had the sofa for about 2 months and am happy. Could not find a small sleeper locally. Very savvy indeed, how they shoved that mattress in to a nice little couch. This was a great find. 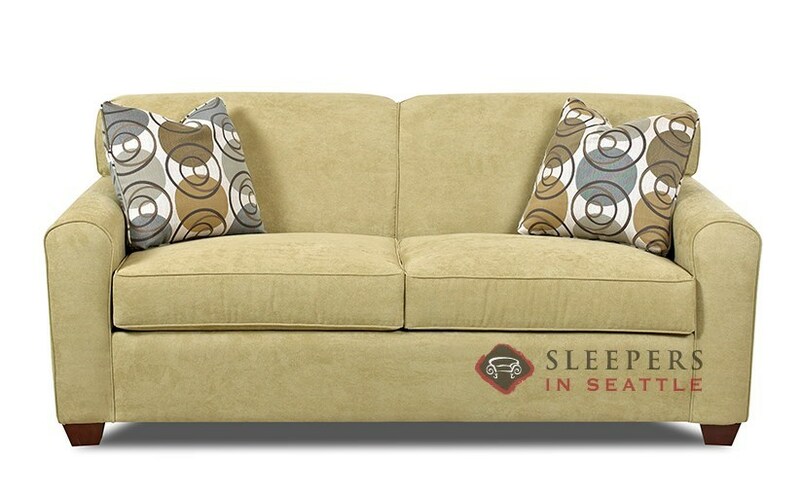 Most sleepers are uncomfortable and they come in tacky outdated sofa styles. This is actually a nice couch in its own right, and the sleeper is just like a huge added bonus. The you Sleepers in Seattle! Love the sofa. I mostly look for a place I can crash and watch a few hours of Buffy, but this sofa has just the right amount of flair as well. I feel like I got a good deal, although if you order this sofa, DO be prepare to agonize over if it's going to look as good as it does in your imagination. Can I choose a different pillow fabric? You can absolutely choose a different pillow fabric--at no additional cost. In our Sleeper Design Center (after selecting "Customize and Purchase" to the right), you will see all available fabrics available for selection. 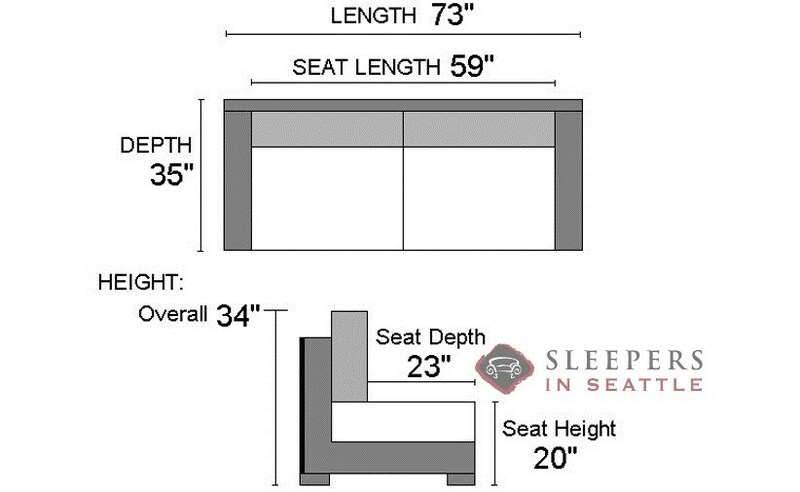 After you choose the upholstery for the body of your sleeper sofa, simply click on the box marked "Pillow" (underneath the product details) to customize your pillow choice. 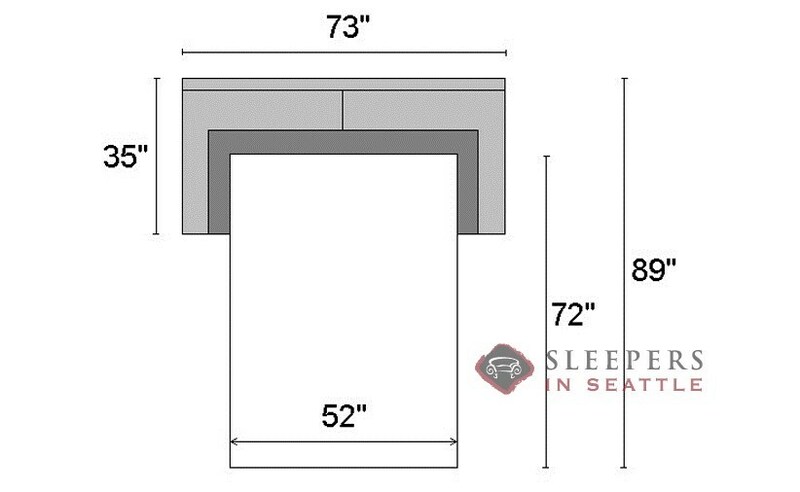 Will this sofa fit through a 28" door? The back on the Zurich, not including the feet, measures about 29.5" tall. Therefore, it will not fit through a 28" doorway.